AudioWarrior has released Bass Rig, a Kontakt library featuring various bass instruments. Enjoy playing these extremely expressive high quality samples based on the legendary Fender Electric Jazz Bass( J-Bass), Schecter Scorpion [Low B] Electric Slap Bass, and an all wood large Acoustic Upright Bass with w-i-d-e organic resonance and the best sounds of classic analogue Bass Synths. 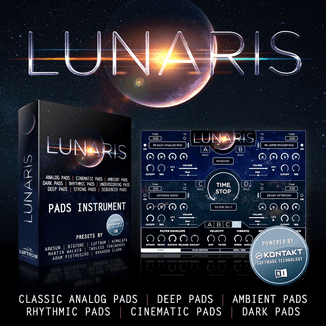 The instruments are natively programmed as playable performance instruments in Kontakt and include fret/finger noise, string buzz etc. Bass Rig is available for download for $49 USD. Visit AudioWarrior for more information.